When I started blogging, I didn't think that I'd be influencing people by my thoughts and opinions. I started blogging with the purpose of letting my voice be heard. All I knew was that I wanted to write and express myself online. And somehow that journey has led me here as a fashion/beauty/events/teaching blogger. When I applied to Blogapalooza, I really wanted to get in. I have been blogging for some time and have been quite grateful with the opportunities that has come by my way. But I knew that if I get in Blogapalooza, I would be diving in to a whole new world of opportunities. 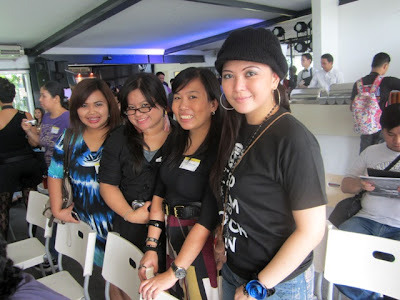 Thus the Blogapalooza event is indeed a boon for bloggers out there. "Blogapalooza hopes to bring these influencers to help them get their fix of the newest, latest, trendiest and coolest products / services / thingamajigs out in the market today." And boy did they DELIVER on their promise. So I'm really grateful that I got in. Many thanks to Vince Golangco and Team When in Manila for making all of this possible! I learned so much and met new people during the event. So first things first, I would like to say a big THANK YOU to Daily Fashionista (Ms. D! lol!) for letting me, Jen, and Gel hitch a ride with her. I must say, her driving skills are impressive. Thank you for being SUPER and getting us to the venue almost just in time. Also, I really am super kilig that I finally met you. AND your wonderful CHANEL BAG. Haha. I saw Ms. D using her spy bag cam skills and I'm quite impressed. Back to the event - The First Blogapalooza Event was held at FULLY BOOKED at The Fort. Not only is it one of the most wonderful places of the world (kaisensei is a bookworm.. haha!) but they also have STARBUCKS on one of their floors. Its like a 3 - in - 1 treat -- Books, Starbucks, AND Blogapalooza. That's one slice of heaven right there. Unfortunately, I couldn't let myself wander around the store nor sip some much needed java at Starbucks coz I had an event to attend. So off we trotted to the 5th floor. I'm number 67. Taken by my cel cam. First things first is the REGISTRATION. Its very important that you register yourself coz the Blogapalooza event was by invite only. Also, you could only claim your loot bag with your name tag given at the event. The ID also has a number on it which serves as your raffle prize number. Cool noh? Unfortunately, I didn't win. 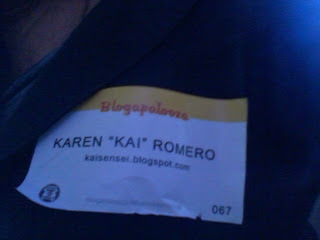 I'm a PROUD MEMBER of the Blogapalooza community! Oh yeah, they had this huge tarp with all our blog urls posted on it. That was super cool. 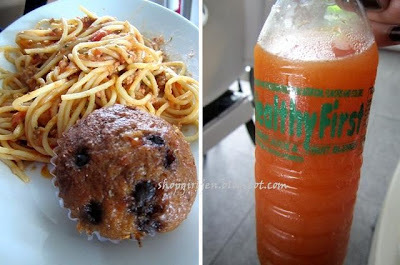 The first blog name that really caught my attention was Anagon's (lower right hand corner)! hihi. Then I found mine. You can also see Daily Fashionista's url here. I think they posted everything in alphabetical order. Since it was around lunch time already, we were getting a bit hungry. Let me just again reiterate how awesome Blogapalooza is for also providing yummy food at the event! I was so hungry I completely forgot to take PHOTOS of the food. But it was from Italianni's and it was divine. We also had free drinks (which were delicious) care of Healthy First. I love it! And here's the venue while the place wasn't still jam packed. Haha. Once the event started, I barely could the stage coz everyone was standing or trying the best to take photos of the stage. It was really exciting and awesome to finally meet everyone whom I only read online. 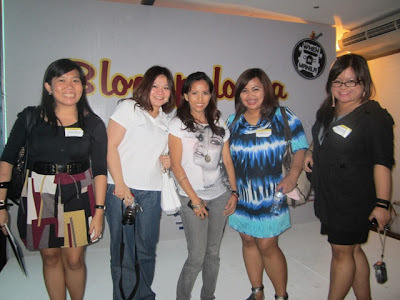 So check out some of Blogapalooza's Influential Bloggers! My seatmates! Jen and Gel and yes, thats Mar at the side. 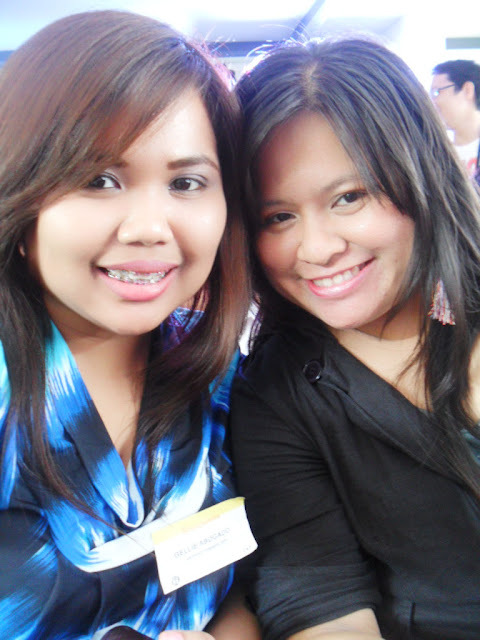 with ANA the FASHIONISTA COMMUTER! Me and Daily Fashionista.. AND YES, thats the CHANEL WHITE BAG! Haha.. I wanted to try it on but I was a bit scared that I might mar it. Kaya naki kunwari bitbit lang ako. haha! with Gel trying the POLECATS pose. hihi. Obviously I had lots of fun meeting up with the dears. Then I got too engrossed listening to the wonderful sponsors of blogapalooza. I will be posting that in a separate post. 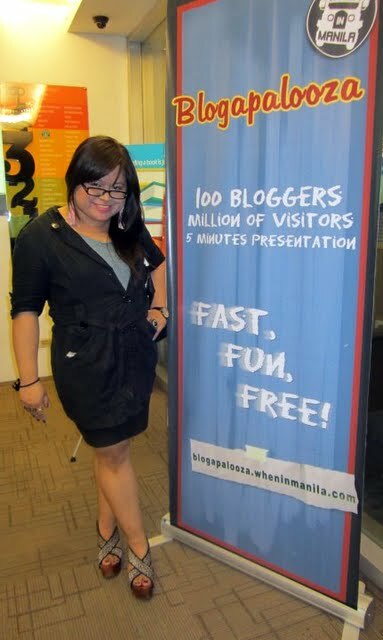 See you at the next Blogapalooza!